Argumentation/Habermas: We call argumentation the type of speech in which the participants thematize controversial claims of validity and try to redeem or criticize them with arguments. An argument contains reasons that are systematically linked with the claim to validity of a problematic statement. The "strength" of an argument is measured, in a given context, by the validity of the reasons; this is shown, among other things, by whether an argument can convince the participants of a discourse, i. e. can motivate them to accept the respective claim to validity. Rationality: against this background, can be judged according to how a subject behaves as a participant in argumentation. Rational statements can also be improved due to their critical nature. 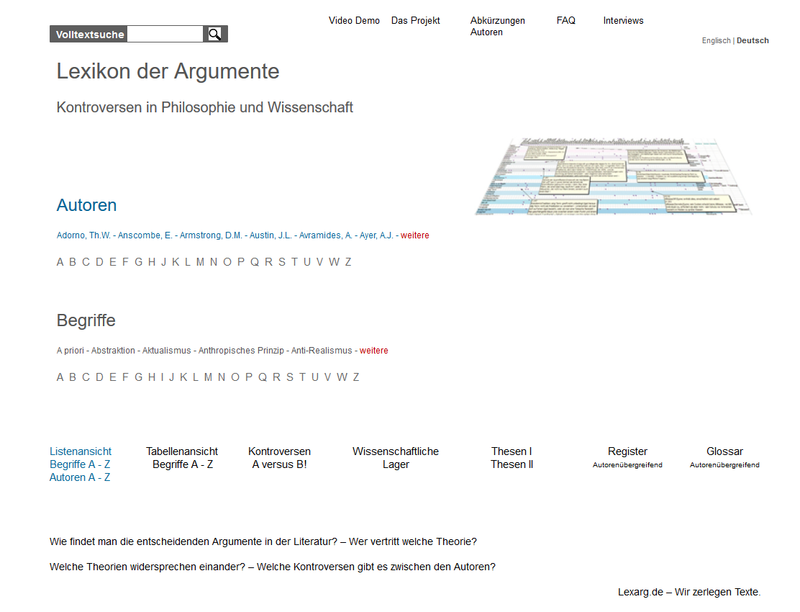 The logic of argumentation does not refer to the formal, consequent connections between semantic units (sentences) but to internal, also non-deductive relations between pragmatic units (speech acts) from which arguments are composed. Three aspects: 1. resembles an argumentation of a communication under ideal conditions, which represents a situation to be characterized as an ideal speech situation. General symmetry conditions must be reconstructed here, which every competent speaker must presume to be sufficiently fulfilled. 2. The procedure is a specially regulated form of interaction of the division of labour between the proponent and the opponent. A claim of validity is discussed here in a situation that is relieved of the pressure of action and experience, in which claims are examined with reasons and only with reasons. 3. Argumentation is designed to produce valid arguments. Definition Argument/Habermas: Arguments are those means by means of which intersubjective recognition for the initially hypothetically raised claim of validity of a proponent can be achieved and thus opinion can be transformed into knowledge. See Arguments/Toulmin. HabermasVsKlein, Wolfgang (1): Klein wants to draw up the logic of argumentation as a nomological theory and must therefore assimilate rules to causal regularities and reasons to causes. HabermasVs: on the other hand, with Toulmin we have to allow a plurality of claims of validity without at the same time denying the critical, space-time and social restrictions transcending sense of validity. Argumentation/Reason/Justification/Habermas: Arguments or reasons have at least these in common that they, and only they, can unfold the power of rational motivation under the communicative prerequisites of a cooperative examination of hypothetical claims to validity. However, in typical forms of argumentation (depending on the claim to validity of propositional truth, normative correctness, truthfulness and authenticity).